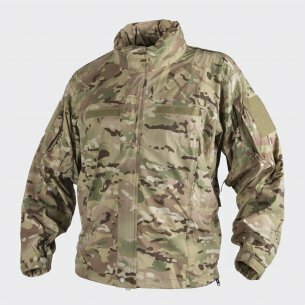 Our online military store offers in its assortment a wide range of military men's sweatshirts, created especially for uniformed services, airsoft and paintball teams, police and security services. Helikon Stratus Helikon Tex sweatshirts are available on our website, which should become a mandatory wardrobe for every man. Helion Tex is a Polish brand enjoying great popularity, also having a loyal following of customers who appreciate the high quality of each of their products. A sweatshirt is definitely an irreplaceable element of men's clothing. It is indispensable for every season of the year, which makes it an extremely practical and functional product. The Helikon Tex brand in its collection has a really nice selection of men's sweatshirts, available in various colors and sizes. One of them is the Helikon Stratus sweatshirt for many special tasks. It is an obligatory element of clothing during cold, windy days. It can be used as a warming layer or as a separate outer layer. 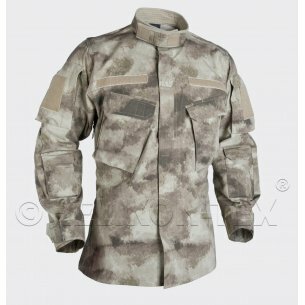 Thanks to the appropriate weight (320g / m2), which distinguishes the Stratus blouse, it is extremely durable, which makes it ideally suited for outdoor work. In addition, it will also be a very effective insulation against wind and cold and low temperatures. Additional protection is provided by a high collar, which guarantees additional tightness against cold gusts of wind. 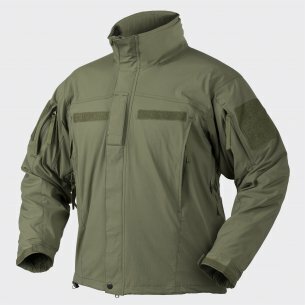 Stratus sweatshirt has a fastening system consisting of a two-way YKK zipper, which allows it to be put on and pulled in under all conditions. 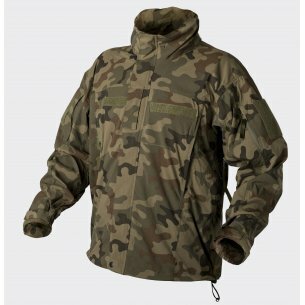 The Helixon Tex brand has been dealing not only with sales for years but also with the production of broadly understood military clothing as well as the additions necessary for these tasks. The Helikon Stratus collection of sweatshirts will surely satisfy even the most demanding customers. Bearing in mind above all the various applications of their products, Stratus men's sweatshirts have been made in a wide range of very calm and subdued shades, which will contribute to extremely effective camouflage in the bosom of nature. Therefore, people who want to best hide themselves between bushes or in tall grasses should opt for olive green, Taiga Green or Coyote color sweatshirts, which are as close as possible to the natural colors found in nature. All lovers of physical activity and spending time outdoors should wear Stratus sweatshirt, which will be perfect for all forms of movement. All this is due to the manufacture of appropriate quality materials that will adapt to the shape of each body, while guaranteeing great freedom of movement. A significant convenience is the provision of sweatshirts with net ventilation holes under the arms and ventilation grids in the upper pockets, which provide long-lasting comfort and prevent excessive sweating, even with the most intense effort. These features will undoubtedly make this blouse become your companion during every trip and every day. The manufacturer took care of everyone, even the smallest detail in the Helikon Stratus sweatshirt. Made of high quality materials that guarantee its durability and durability, also making it a product that you can enjoy for many years. The sweatshirt has special reinforcements on the elbows and arms, i.e. places that are most often subjected to abrasions. Of course, there are no other practical solutions that all men really value. The sweatshirt has two chest pockets fastened with zippers and two upper pockets on each sleeve, also fastened with zips. It is a perfect safebox for all necessary gadgets that accompany us every day. Tight fasteners guarantee the safety of their storage. 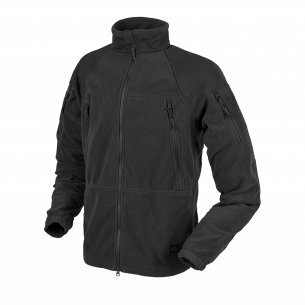 What's more, the Helikon sweatshirt also has pockets for a smartphone or other small equipment. Such a number and arrangement of pockets makes it easy to plan the placement of all necessary items, while maintaining order.